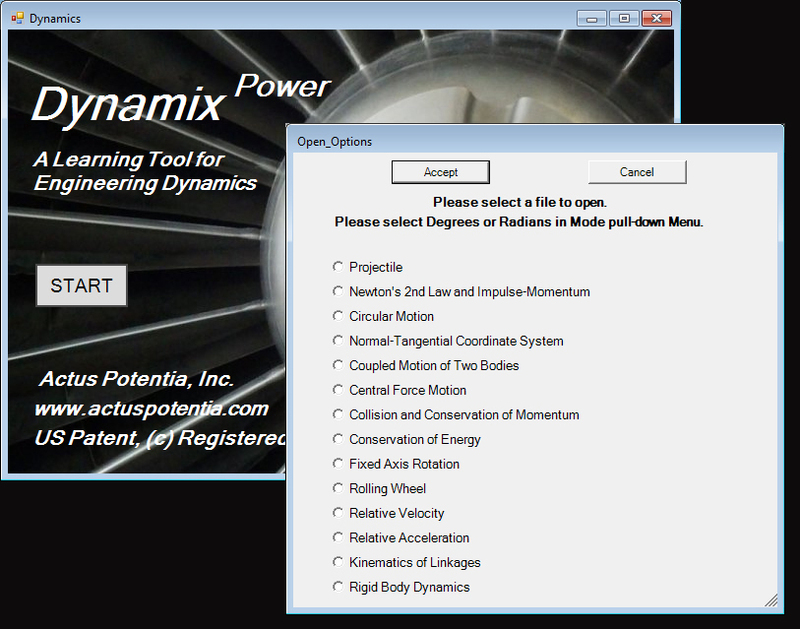 Relative Velocity and Acceleration, Linkages, Rigid Body Dynamics. Quick-Fix is not the best solution, in the long run. The application consists of fourteen components. Newton's 2nd Law: Impulse-Momentum Principle, distinction between inertial and non-inertial frames of reference. Circular Motion: Conical pendulum, banked horizontal motion, and Ferris wheel. Coupled Motion: Coupled motion of two bodies on inclines with friction force at contacts. Central Force Motion Circular and elliptic orbits. Conservation of Momentum: Elastic and inelastic collisions. Conservation of Energy: Kinetic and potential energy, frictional loss, spring energy, work, and power. Rolling Wheel: On incline with friction. Rigid Body Dynamics: General motion of rigid bodies in a plane.